Wondering what to do with all that stuff that didn’t sell at your garage sale? 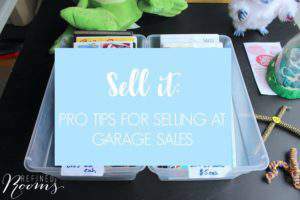 I’m sharing some great online resources for garage sale donations that you’ll definitely want to check out! Where I live, we’re in the middle of a whirlwind of garage and yard sales. It’s that time of year where we all feel the urge to purge. I’m no exception! 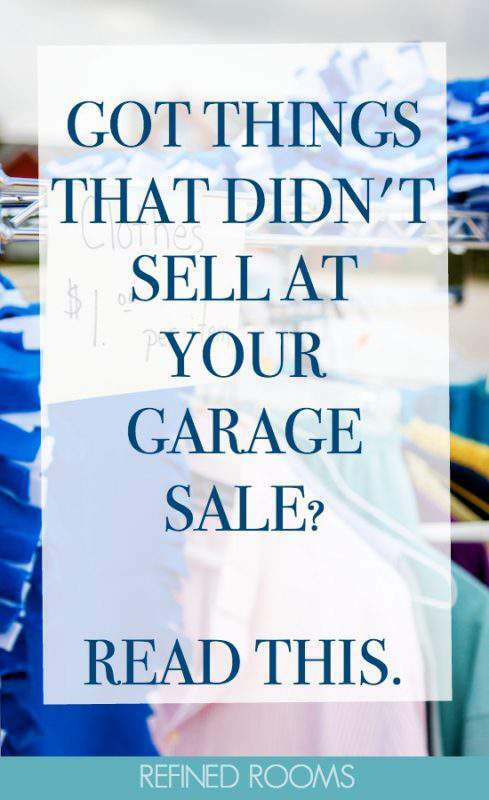 Garage sales are a terrific way to clear the clutter and make a few bucks while you’re at it. It never fails to amaze me that we have a decent amount of cast-off items each year to warrant yet another one of these sales. After the sale, you might find yourself eyeing up all of those “treasures” that no one was interested in breaking their $1 bill for. Now what? Whatever you do, please do not pack it all up and bring it back into your house! This is your golden opportunity to donate these items that are no longer wanted (or they wouldn’t be out here in the first place) and that were likely taking up valuable real estate in your home. 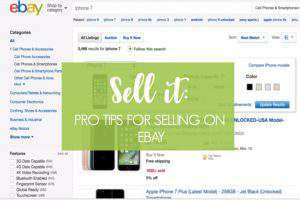 One exception to this rule on not letting it back in would be if you have a relatively “high ticket” item that you are certain can fetch the asking price on either Craigslist or Ebay. I did have a few such items in my sale that I have since sold on Ebay for more than I was asking for in the garage sale. The key here is to make it a point to list them on Ebay/Craigslist immediately, and do not let it become a chore that you’ll get to “someday”. As for the remaining items? Depending on the types of items you plan to donate, it may be as simple as boxing them up, packing them in the back of the car and dropping them off at the nearest Goodwill or Salvation Army donation site. 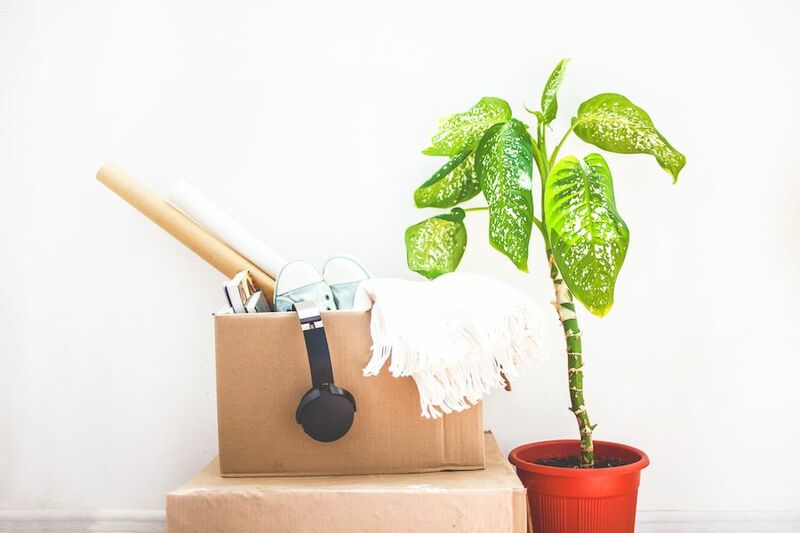 If, however, you are looking for charities that take specific “niche” donations and specialize in benefiting a particular needy group, the blogger Miss Minimalist has compiled an amazingly comprehensive list of places that can do great things with your garage sale discards. 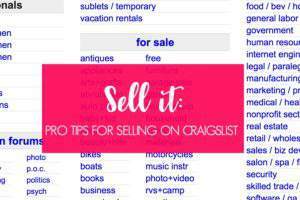 Most often, people think of Craigslist as a resource for selling their used items locally. Did you know you can also make free items available to the public via Craigslist? 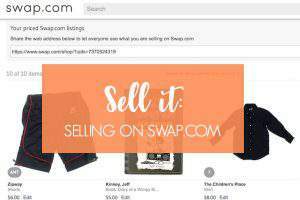 In case you aren’t familiar with this site, Craigslist is a website with classified ads across a variety of categories, such as job listings, personals, items for sale/wanted, services, etc.. Here’s a tutorial that summarizes how to give away items for free using this very popular online resource. Freecycle is a non-profit group comprised of smaller local groups created to promote peer to peer recycling. Got an old sofa that you no longer want? Chances are there is someone looking for just such an item in the local Freecycle community. Learn more about the nuts and bolts of participating in a local freecycle group here. If the idea of random strangers coming to your home is less than appealing, or you don’t have the patience for the occasional Craigslist/Freecycle “no shows”, try Donation Town. It provides an online nationwide directory of local charities who will pick up your items for donation. Simply enter in your zipcode on the site, and voila! Out pops a list of charities in your area. With the click of a button, you can schedule your pick-up date/time on their website. Fabulous! Of course it feels good to give your stuff to someone who can really use it, and it’s noble to be environmentally conscious since the stuff will not be dumped in a landfill. Perhaps the most powerful incentive we have for donating our unwanted items is that coveted tax deduction. So you’ve been diligent about keeping your donation receipts and an itemized list of what you donated. But how do you determine the Fair Market Value of your donation for tax purposes? Fortunately, there are several online resources that can assist you with this final step. Some of the best ones I’ve found are the Valuation Guide for Goodwill Donors and the Salvation Army Donation Value Guide. What have you typically done with those pesky unsellable items? Yes, of course. That’s an obvious one that I forgot to include. Thanks Joy and thanks for the tip about the donation bag. I recommend a donation box on every floor of the home too!